I have to admit, I was surprised by GM’s announcement of their new robotic fuel-cell-powered all-terrain utility-truck platform, SURUS. Most automaker reveals aren’t this confidently utilitarian, and it also seems to be a rebirth of a GM concept I thought was long dead, the Hy-wire fuel-cell concept that featured a self-contained, skateboard-like platform. The surprise is good, because the concept seems very promising. In a lot of ways, SURUS is like a very modernized version of the old Willys M274 Mechanical Mule. It’s like the Mechanical Mule self-propelled platform concept combined with the electric fuel-cell propulsion system of the Hy-wire program, and then enhanced with modern autonomous driving tech. The result is a robotic, all-terrain vehicle with a load area the entire length of the vehicle itself. 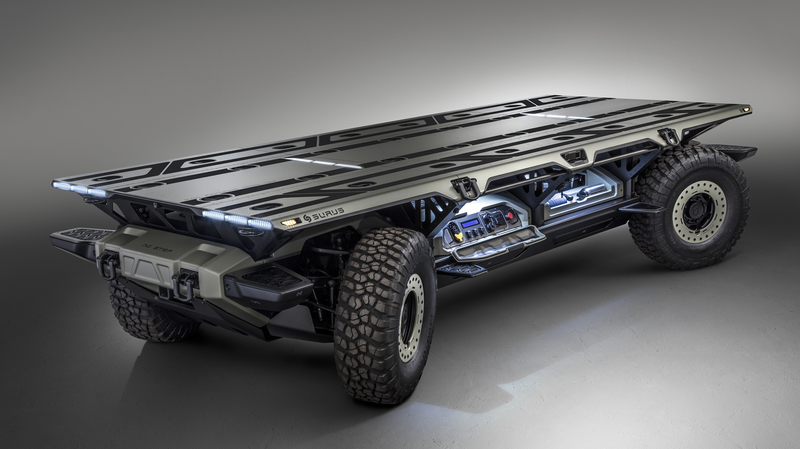 SURUS has four-wheel steering, two motors, a LiON battery system as well as a fuel cell system for a total of 400 miles of range and uses chassis components from GM’s existing truck lines. Oh, the odd acronym SURUS technically stands for “Silent Utility Rover Universal Superstructure” but that feels sort of forced. I suspect GM wanted the name SURUS because Hannibal’s last war elephant was named Surus (which means “the Syrian”). Naming something like this after a war elephant is a pretty badass idea. 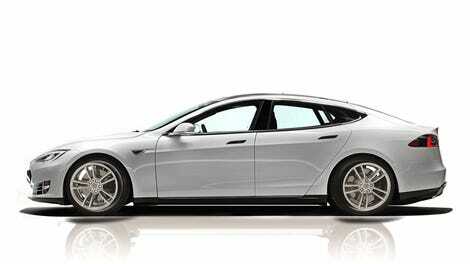 I’m also excited to see a major automaker introduce what is essentially a blank electric chassis onto the market. I’ve been advocating that Tesla do this with their self-contained, skateboard-like chassis for over a year, and I’m just pleased to see the idea happen in some way, even if obliquely like this. But think about it—a civilian version of SURUS would make a fantastic platform for delivery vehicles, buses, and, best of all, RVs! A camper that could drive itself down the highway while you cooked up some pizza rolls or took a leisurely bowel movement is essentially the modern human’s dream, realized. This is an exciting idea, and I’m very curious to see where it goes next.